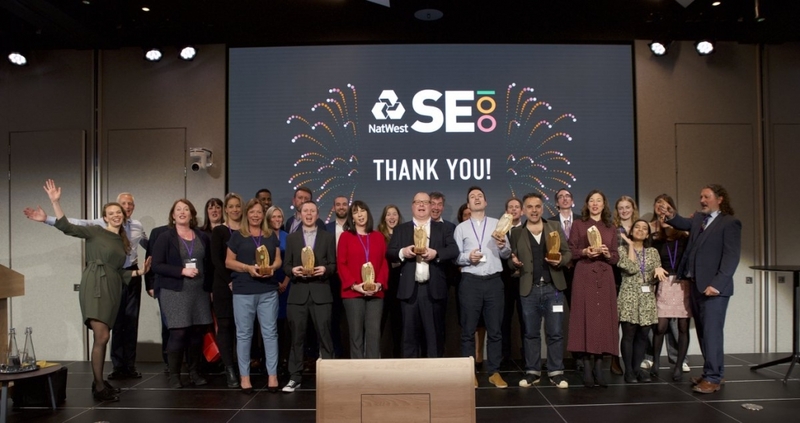 Nearly 300 people gathered in central London this week to hear who had won the top spots in this year’s NatWest SE100 Social Business Awards. 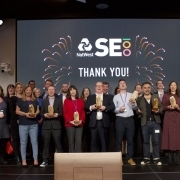 The Top 100 social enterprises from those who applied were also listed, in this year’s NatWest SE100 index, which represents the ‘top 100’ social enterprises from all applicants based on a variety of criteria, with points awarded based on the seven awards (growth, impact, leadership, etc). Social Enterprise Mark CIC is delighted to be included on the index. Speaking at the event, the judges said they had been impressed with the quality of submissions. Neil McLean, CEO of the Social Enterprise Academy and one of the external judges, said: “In an era marked by the continual withdrawal of public resources and the need for greater international collaboration to tackle global issues, to learn of these initiatives being led by entrepreneurial leaders in social enterprise is inspiring and brings a much-needed optimism for the future. You can view the full SE100 index here.